Paneer, the healthy and delicious form of Cheese is made from milk. 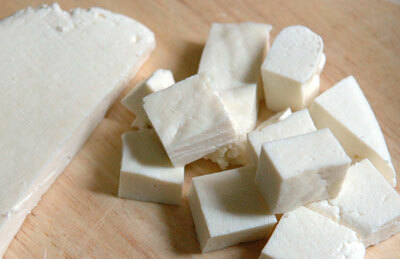 Often referred as Cottage Cheese in western countries, paneer has its origin in the Indian subcontinent. It is used invariably in many sweet and savory dishes in India. Simply, it can be called the home made Indian cheese. It is soft and chewy. Paneer is a healthy food. Although cheese is categorized under fat foods, paneer, a form of cheese isn’t a fatty food. Paneer is made from milk, simply by blotting the milk with lemon. Although paneer is a most popular ingredient used in cooking very frequently, it is not a popular ingredient sold in the food market. However, many companies recently introduced the packaged paneer. However, you may not know whether the paneer available in stores is fresh. Still, many find it hard to make nice and soft paneer at home. Making paneer at home is very simple. Unfortunately, many misses out the simple tips and tricks to get the soft, chewy paneer in desired shape. Now, just come out the shell that you cannot make the soft and crisp paneer at home, as many end up creating scrambled paneer. How to make paneer at home? Let’s see. At the end you would love the freshness of the home made paneer. The ingredients you require are milk and fresh lemon juice. You can substitute the lemon juice with vinegar. Alternatively, you can use curd or yogurt to blot the milk. Paneer is nothing but the scrambles of spoilt milk, where the nature of milk changes during the process of acidification. Boil the milk in the heavy bottomed deep vessel. As the milk boils and rises, lower the flame of the stove, add a few drops of lemon juice (fresh) or curd or vinegar and mix it well to blend with hot milk. The acidic properties make the milk curdle. If you don’t find the curdling of milk, add a few more drops of fresh lime. You will find the paneer crumbling and separating from the milk. A scramble or crumbled paneer floats on the top of the spoilt milk separated from the clear yellow greenish water. This is called Whey. Cover the sieve with nice and thin muslin cloth. Turn off the stove and filter the spoilt milk (crumbled paneer and whey) using the sieve in a dish. Alternatively, you can directly strain the whey and paneer using muslin cloth without a sieve. Now, after sieving the whey and paneer, wrap the cloth tightly to remove off the excess whey from paneer. Now, hang the wrapped cloth with paneer for 10 – 15 mins to drain off the liquid completely. Wrap another cloth over the paneer covered in muslin cloth and place it upside down, gently knead it on a plate. Place a heavy weight vessel on top of the plate (say, vessel filled with water). Don’t rest the paneer for more than 45 minutes as it will lose its softness. Now remove the clothes, you fill find the soft and solid paneer. Slice it or knead it or make it into cubes or chop it nicely to make a delicious dish! Use whole milk for soft paneer. Remove off the scrambled paneer once you find clear whey, otherwise, the paneer will become way too hard. Don’t throw whey. Add it with flour to make soft and delicious rotis, dal, gravies, etc. You can add a bit of salt or sugar to the milk. To get spicy paneer, add cumin seeds powder to the milk.